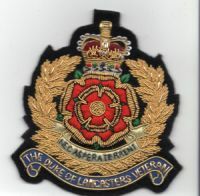 “Officially licensed with the MOD under licence number DIPR1ME239. We strive to give good quality and the best price available, if you need something not on the site please call us. If you want to have your Logo or Company name ebroidered on garments then please contact us using the contact us tab at the bottom of the page. We look forward to hearing from you and helping you promote your business with high quality garments and Embroidery or Printing. ©2016 www.centuryembroideryprinting.co.uk - All rights reserved.